Jupiter themes has been purchased 12, rating: 4/5 based on 4 reviews. 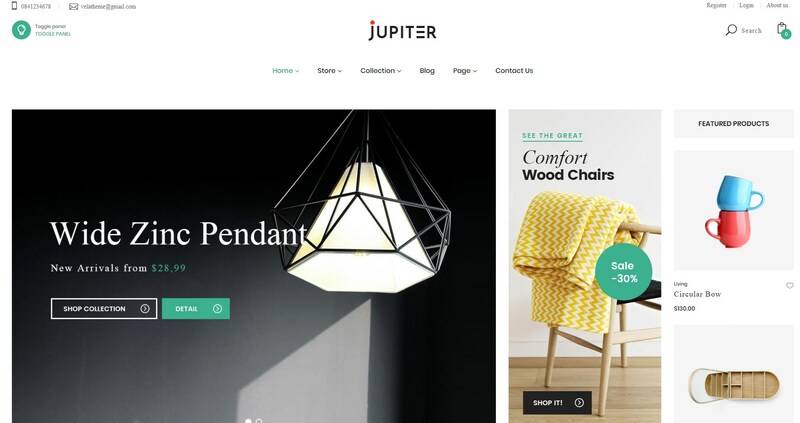 Jupiter is a Shopify theme designed by Velatheme. It is based on advanced technologies such as CSS 3 and HTML 5. This is why shop owners can easily manage their online store even if they are beginners. Jupiter is compatible with all types of stores such as furniture, electronics, phones, fashion, apparel, jewelry, cosmetics, etc. In addition, Jupiter has a flexible control panel and tons of powerful features. It all brings satisfaction to the customer and helps to improve the excellent user experience.